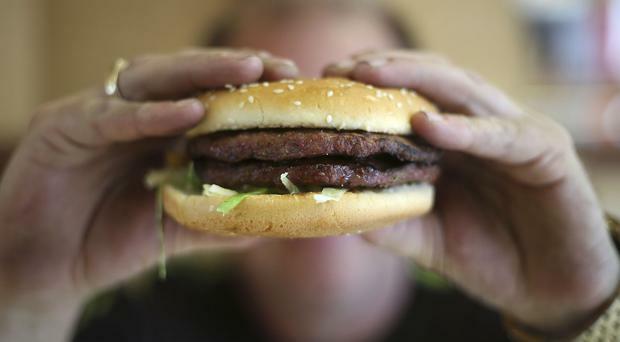 Poor diet is the world's deadliest health risk, accounting for a fifth of all deaths, a study has shown. Potatoes, bread and the carbohydrate food group of which they are part have been vilified time and time again. But do they really deserve their bad reputation? Plant-based milk: trend or health choice? Say you drink coffee and you want to buy a creamer, so you go into a supermarket. There are two products on offer - one costs €1.05 for a litre. The other costs €1.71. You might say that's nuts. And if you did, you'd be right. That's how much an online supermarket charges for one litre of ordinary milk and one litre of unsweetened almond milk. A high-fat "western" diet weakens the ability of the immune system to fight infectious disease particularly in the gut, leaving people more at risk of food poisoning, according to researchers at University College Cork (UCC). The EAT-'Lancet' Commission has addressed the necessity to feed a growing population a healthy diet while also minimising damage to the planet and cutting 11 million premature deaths a year. There's a scene in the film version of Umberto Eco's classic historical murder mystery 'The Name of the Rose', which stars Sean Connery and F Murray Abraham, in which a monk self-flagellates - an apparently regular ritual. Some 80pc of resolutions fail by February and just 8pc of people are thought to achieve their New Year's resolutions, studies have found. A common goal is losing weight. So why do so many people find this resolution so challenging? Don't feel too guilty as you tuck into your Christmas dinner - the traditional turkey and trimmings can be relatively healthy and actually contains some superfoods. The calorie content of popular meals in restaurant chains is excessive and only a minority are meeting public health recommendations, a new report warns. Libraries across the country have become a little healthier. To the devoted disciples of the church of supplements, it was a pronouncement near tantamount to blasphemy. It was claimed that the expensive practice of swallowing vitamins and minerals to better one's health was little more than a tax on the gullible. Low-carb diets allow people to lose more than one-and-a-half stones over three years because they boost metabolism, a study suggests. Nuts are good sources of fat, fibre and protein, so why aren't we eating more of them? Move over manuka - Irish heather honey has now been described as the new "superfood" and is overflowing with health-boosting compounds. What we eat has a knock-on effect on the way we sleep, but this does not necessarily mean we have to ban stimulants such as coffee and alcohol from our diets. Pasta is no longer off the menu after a new review of studies suggested the carbohydrate can form part of a healthy diet, and even help people lose weight. Ask any dietician about the concept of calorie counting and you'll likely be met with an exasperated look. Coconut water: Coconut water is heralded as a refreshing, thirst-quenching drink. It's the clear liquid obtained from immature, green coconuts. Nutritionally, it's unlike coconut milk, cream and oil, which are made from the flesh. Hot tea and heavy alcohol consumption can increase the risk of a deadly cancer fivefold, research has shown. Perhaps you're a parent who has had a letter home from your child's school instructing you not to allow nuts into your son or daughter's lunchbox, or maybe you've learned not to serve your mother-in-law shellfish unless you want to make a quick dash to A&E. It's fair to say that most food groups have taken a bashing during short-lived faddy food trends and carbohydrates are no exception. For fashionable foodies, 2017 was the year of coconut oil, smashed avocado and chia seeds - but what will the on-trend kitchen whizzes be eating this year? You can't out train a bad diet. Your body reflects what you do. If you continuously eat poor quality food, your body will reflect this and not the few hours you've spent working out each week. Half the sugar consumed by children comes from unhealthy snacks and sugary drinks, according to a health watchdog. One of the first questions anyone newly diagnosed with type 2 diabetes will ask is "what can I eat? ", says the charity Diabetes Ireland. Strict healthy living rules like aiming for 'five a day' have been sidelined in a new campaign to tackle child obesity. Milk used to mean cow's milk. Although low-fat milk and skimmed milk have been popular for some time now, there is now a flurry of milk alternatives on offer that are growing in popularity.